Aber Day 2017 at Flathead Lake! Aber Day Revisited , by Mick Holien. Who said you can never go back. Here’s the opportunity to return to your roots or start a long-held tradition at the Aber Days Reunion Concert on the banks of the Flathead River framed by the Lake and the Mission Mountains at the Regatta Shoreline Amphitheater. 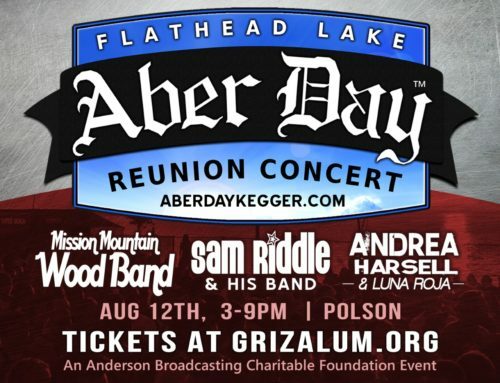 Headlined as is custom by the legendary Mission Mountain Wood Band (M2WB) and featuring Las Vegas and local dynamo Sam Riddle, the Aber Day celebration is in Polson August 12, 3 p.m.-9 p.m.
Andrea Harsell and Luna Roja round out the festivities. Brought to you by Anderson Broadcasting, this is a family friendly affair that promises to provide the musical jolt of the summer and guarantees an afternoon of “I just can’t wait to dance” food-stompin,’ hand-clappin’ diverse entertainment. 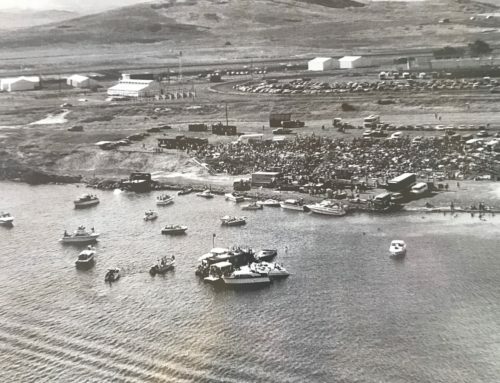 In the dominant concert days of the 70’s Mission Mountain seldom headlined as name performers like Jimmy Buffet, Bonnie Raitt and the Nitty Gritty Dirt Band graced the stage but such acts at the annual event always seemed to be upstaged by Montana’s own M2WB. Held as a band reunion concert for the last two years in Phillipsburg, the afternoon-evening affair in Polson revives the 70’s shows held as fundraisers for the University of Montana library first up Deer Creek east of Missoula debuting in 1972 and running until 1979 at the old K.O. Rodeo Grounds up Miller Creek. The addition of Sam Riddle to the stage represents the band’s second generation since his Dad, Steve, along with Rob Quist and Greg Reichenberg are original Mission Mountain Wood Band members. Proceeds from the show will be distributed to local non-profits by the Anderson Broadcasting Charitable Foundation. Application forms will be available. Partnering for the day’s festivities are University of Montana Alumni Association and those wacky guys who promoted the original Aber Day Kegger, Missoula Liquid Assets Corporation (MLAC). Tickets are $35 (advance), $40 (at the gate), $15 (ages 7-12) and youngsters under six are free. Tickets are available through the University of Montana Alumni Association at www.grizalum.com on May 1 and other ticket locations to be named. To learn more about the history go to www.aberdaykegger.com and for further information about the Polson concert contact Mick Holien, 544-2478.